At about 2 o’clock in the afternoon of December 28,13 students from the Beijing University Marxist Society came to the fifth building of science department where the Marxist School of Beijing University downstairs. For the next 16 hours,these 13 students were surrounded and moved by some people. They were trapped in the classroom,and beaten by teachers and parents. That incident began on December27,when Sun XiGuo,the steering teacher of Beijing University Marxist Society,and the leading unit launched a forced decision of Marxist Society,Oder them to change the organization,which was passed in half day.None of the 32 people who joined in the preparatory meeting for reorganization had participated in the activities of Marxist Society. What’s more ridiculous is,Wang YuBo,the new League Secretary of Marxist Society,has repeatedly broke into the study room belongs to Marxist Society. They even moved chairs though windows and doors to took photos by stealth in the corridor. This decision which was passed and published in a short time without voted by the Marxist Society students. It immediately aroused the strong aversion of all the Marxist Society students, and dozens of students jointly protested to against the cancellation of reorganization. On the morning of December 28, Marxist Society’s President Qiu Zhanxuan and other members of the association went to the Marxist School Central Committee to reflect their opinions and raise their requests. The other side refused to discuss，and make some prevarications. Their attitude is very bad. Forced to do so, at 2: 00 p.m. on the 28th, 13 Marxist Society students came to the downstairs of the fifth floor of the Science Section and raised cards to demand that the reorganization be cancelled.Students want them to stop suppressing the Marxist Society, and make a silent protest. The card reads “firmly against the reorganization of the Beijing University Marxist Society”, “immediately rescind the reorganization decision”, “32 reorganization’s members without a Marxist Society member” and “want the workers’ and farmer’s Marxist Society ,not the bureaucratic Marxist Society.” Within minutes, security guards tried to disperse and stop passers-by cell phones from taking photos. Soon, about 20 security guards arrived at the scene, and quickly surrounded the students, several security department’s leaders began to grab signs. After the banners were taken away, the silent protest could no longer be carried out, and the Marxist Society students had to shout slogans: “protest against the reorganization of the Beijing University Marxist Society “, “return my fellow workers’ home”, “work and study with innocence” and so on. At this time,the security guards surrounded them, elbows push, use kneecap to beat them, overwhelm the students. 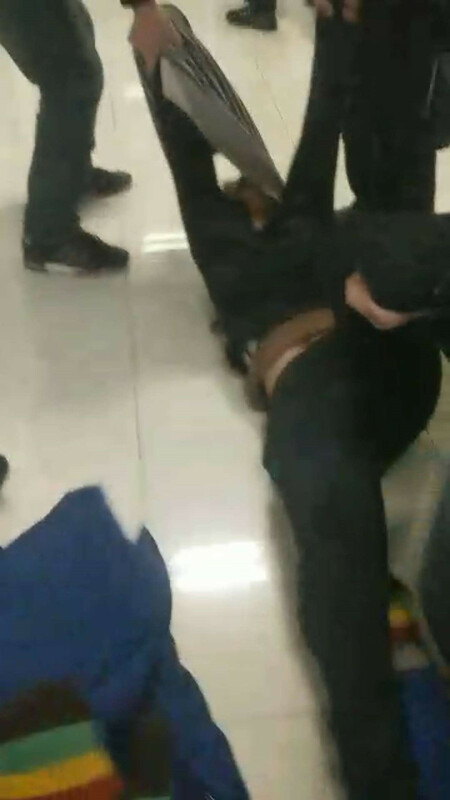 Several security department’s leaders, directly broke into the arm-in-arm students. Thirteen students were divided into two parts, Sun Jiayin, Wang Hanshu and Xue Ziwei were each put up arms and legs by several people,and carried into the building. At the same time, a classmate photographed ‘s cellphone was taken by four or five people. During the dispute, he was locked behind the throat, the coat pocket was torn, was once pushed to the ground, dragged into the building, only to escape a dozen minutes later. Under the opposite press, the remained 10 students squatted to protect themselves. The SD guys immediately surrounded them to avoid pass-bys’ sight, and sometimes kicked the MS students by their shoes. Meanwhile the instructors, CYL and CPC’s officials from different schools and departments appeared, and pretended to kindheartedly ask the MS students for their demands. But after the students announced the demands, they performed as if being deaf, continued to ask for the demands. The students looked forward to communicating, but the instructors and officials just wasted students’ energy in the cold wind, and tried to cheat them to go into the Science Building No. 5 by saying “it’s cold outside”. Then the MS students demanded to meet Li Shishen，the vice secretary of CYL in PUK, and the vice-head of PUK Chen Baojian who had promised to solve the troubles, to solve the problem together. After getting the promise of no violence from the university staff, the 10 students stood up. At once, they were squeezed by the security guards. And the SD officials also ordered more guards to oppress the students. In such conditions, the students had to sit down again to protect themselves. At this time, Chen Fujian appeared, and shouted abuse at the students. He orders the officials and guards to pull the students into the building. 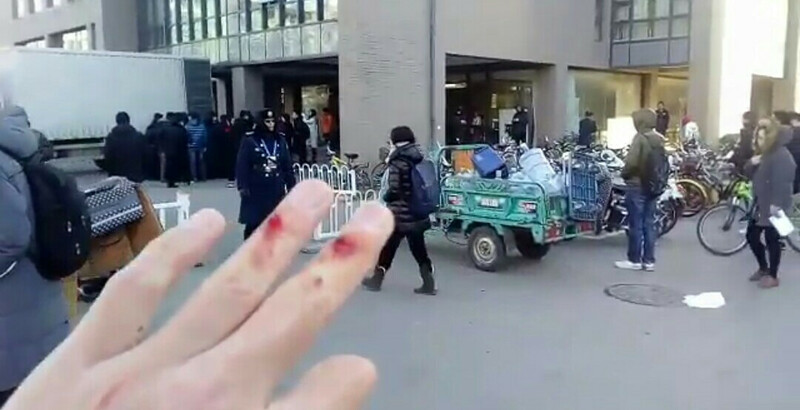 Under Chen’s order, 50s officials and guards started to caught the students’ hands and feet, and finally and violently pulled them into the Science Building No. 5. Lack of protection, some students’ heads seriously knocked against the wall. Student Xue Ziwei’s neck was twined by the wire of the guard’s interphone. What’s worse, Xue’s back of head directly knocked against the footstep of the building. Xue felt dizzy and demanded to send him to hospital. But the university staff refused. Some guards directly pulled the hat of a boy’s puffy jacket and nearly suffocated him. 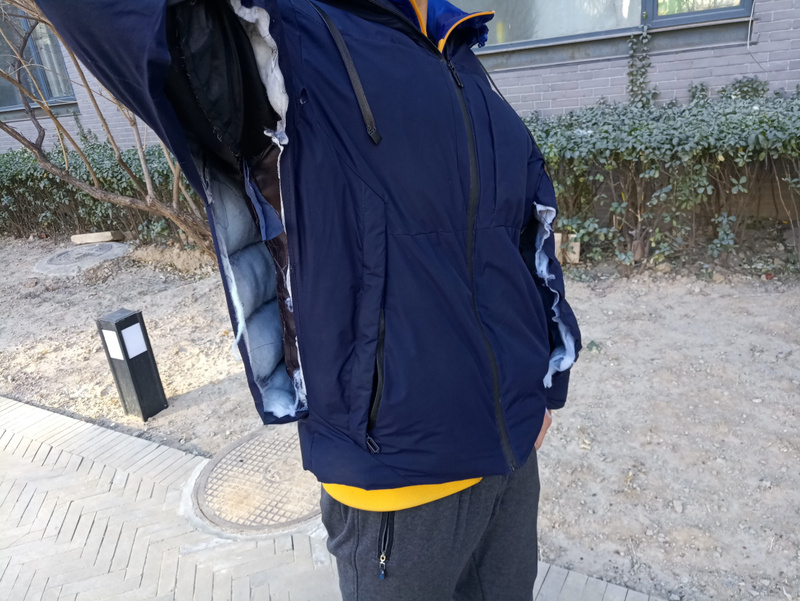 Some students’ puffy jackets were pulled into pieces. Two female students’ trousers were nearly pulled off. A boy’s trousers were pulled off by force. And he was left on the ground with only pants. Another girl’s trousers and sweater were pull off, and her underwear was exposed. Some students’ cellphones, glasses and even wallets was lost or robbed. But in the next one hour, nobody come to talk and communicate with the isolated students. Only the SD officials and security guards were in the lab. So the MS students started to tell to the security guards why and how they helped and served workers, and advised the SD officials to give the security guard a rest. At 17:00 p.m., the SD followed orders from upside, and installed the cell phone jammer outside the lab to cut off students’ connection with the outside and cover their atrocity. A SD personnel’s interphone received an order “They can’t use cellphone in the lab.” They tried to divide and controlled the detained students in this way. In this case, they developed a few solutions. At 20:00 pm,after students who need to go to toilet protested, three female students finally got a chance to go to the toilet together. However, after that, those three female students Zhang Ziyi, Zhang Xiaoyu and Sun Jiayan were brought to different classrooms by the teachers forcely. Without cellphones as their communication tools, students being separated and monitored could only shout out through the closed windows. Securities who were patrolling around had already cleared the area, not allowing any students go through this area. It was even impossible to seek help from the windows, and those a dozen of students cannot even call the police. In this case, 8 male students remaining no longer had courage to go to toilet alone, they tried to finish their personal business in cups, being monitored. At 00:30 am, the university organized another force clearing, thirty or forty faculties got into the classroom.Even parents of Zhang Ziwei, who was one of the student activists there, were with them. They tried to bring Zhang Ziwei with force, using the excuse that Zhang needed to talk with his parents and those faculties alone. Since 8 students linked their arms together in order not to be separated, faculties specialized their works. Somebody would be in charge of pulling students’ arms, some others pulling their hoody hats, and some were using their legs to unbalance those students. Finally they carried Zhang into another room, and everyone else shared the same fate later. As soon as students were separated, faculties from each colleges started retaliate those students in many different ridiculous ways. Advisor and secretary of the communist youth league in the college of medicine Xu Guowang, talked with student activist Sun Jiayan for a few hours during the midnight, saying :”What could you get involving with the Marxism Society? They were not even letting you carry the slogan! Follow me and you will have a much better career, I could appoint you as the vice director of the communist youth league in our college. You have a few days to think about it, but you cannot refuse. I could publish your appointment without your agreement. I hope I could talk with you every two days from now on, maybe ten or thirty minutes each time.If you are not coming, I will go to your classroom or dorms(Xu the faculty is male, while Sun is female), I have no shame.” He even said,” I don’t only have the right to carry you back to PKU department of medical science, but also to carry you to my home!” Is there any difference between that words and sexual abuse? He also lied to her classmates in another room, saying Sun Jiayan had already agreed with his requirement, tring to separate the students with lies, making them surrender. Every way the faculties tried had proved to be failed, of course, they thought about using the students’ parents to pressure them. Father of Zhang Ziwei hit him with five slaps, pulling his hats and hairs, tried to bring him home. Surrounding faculties applauded, saying “Kids who are not submitting deserve that！” Zhang Ziwei refused to go home, and his father had to ask Guo Qi to suspend his son’s schooling, who was the vice secretary of the party committee in the college of basic medical science. Guo agreed immediately ignoring Zhang Ziwei’s opposing. Mother of Zhang Ziwei was crying aside, tried to stop Guo and the father, but never worked. The family collapsed. Another student activist Zhang Xiaoyu’s parents, sister and brother in law came to Beijing at night. Her mother knocked her down, pulling her hair asking her stop getting involved with the Marxism Society. Also She kicked Zhang Xiaoyu’s shank countlessly, even made it swollen. The faculties pretend to be seeing nothing, instead they criticized Zhang Xiaoyu that she broke her parents’ heart. During the whole time, vice president Chen Baojian never showed up. Many students stayed up almost the whole night, being occasionally asked for talk and education. Some sutdents only got no more that on hour sleep during the whole night. At that time, there were always staffs of student works and college faculties coming and pressuring students, saying their willing to punish the students, even the cops came and ask for recording, also abusing the students with words like “shameless” or “thugs”. Some students tried to reunite with others, but everytime they tried they would be blocked before the door and pull back to the room. Students were bruised and also weak due to the lack of sleep. When all the ridiculousness ended, it was already 6:50 am in the next day.The staffs of student works were still wasting time on the last process. In order to leave together without anyone left behind, the students used all their words they could come up. However the staffs are still avoiding concrete issues, complaining that if they don’t go automatically, there would be passive effect against other students. Finally, with persistence all students reunite together, left Natural Science Building 5, the evil den in the PKU. From December 28 to December 29, for those PKU students, they spent darkest 16 hours in their life. 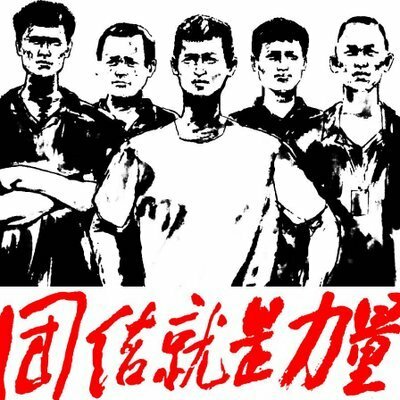 During 16 hours, those Chinese youth who believe in Marxism, was educated harshly in their own motherland. They were beaten, pulled, undressed, abused, intimidated and lured, even their own parents were slapping them on their face or kicking them under the faculties command!